A recent Wall Street Journal article that beamed a spotlight on sophomoric speaking and grammar gaffes in the workplace covered the issue fairly thoroughly but left unsaid some pertinent points. The article discussed the epidemic of informality in critical corporate settings such as staff meetings and in-person communication with clients: What do you do when employees seem ignorant of expectations for adopting the appropriate linguistic register in these contexts, using chatting vernacular (“You guys, like, cut it out!”) when a moderate degree of formality (“Please, let’s just have one person talk at a time”) or even a sober formality (“I wish to remind you to raise your hand if you wish to be called on to comment”) may be expected? It also discusses disturbingly colloquial correspondence, or that which is rife with typographical errors and poor grammar. The answer, for some companies, is to require employees to have one or more colleagues review letters and emails before they are sent out. 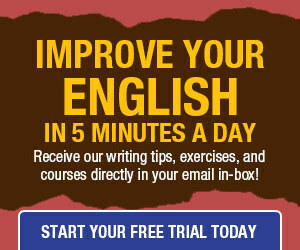 Others hire consultants to train workers to become better writers. 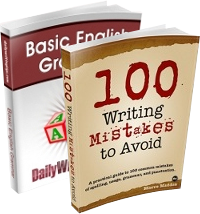 But both strategies have their weaknesses: Two or three heads are not necessarily better than one, especially if they are empty when it comes to writing skills. And writing workshops can only accomplish so much unless they are intensive and extensive — and expensive. A combination of these approaches is best but still won’t produce flawless results, and many businesses are not willing or able to invest in the effort. Is this issue such a big deal? It depends on who you ask. This word nerd says, “Hell, yeah!” (or, depending on the pertinent linguistic register, “Indubitably.”). What does every enterprise have in common, besides selling a product, a service, or an idea? The answer: communication. All businesses must connect with current and prospective customers or clients, and partners, through transmission of language (usually — at least primarily — written language). Even if the only text the recipient sees is a business card, an invoice, or an email, the company’s reputation is on the line — on every line. What’s the ideal solution? Every business publishes information (and, believe it or not, clients and customers notice poor and careless writing, even if they don’t recognize specific errors). So, treat your business like a publishing company, and institute an editorial process. At my last job before I began the current freelancing phase of my editing and writing career, I was responsible for the presentation of all content on the website of a prestigious educational foundation. Therefore, I considered it of paramount importance that the content be of outstanding quality. If you work at a sizeable company and you have responsibility for or are otherwise involved in the generation of business-to-business, business-to-client/customer, or even internal content, I urge you to consider or recommend designating the resident grammar geek, or a hiring a staff or contract editor, to serve as the conduit for at least the most significant communications or correspondence. Of course, only the smallest enterprises can monitor all messaging, and even then, requiring inspection of all email messages seems repressive. But the solution discussed above, perhaps combined with workshops and one-on-one consultation conducted by the designated editor, will have a significant positive impact on the quality of your company’s communications. “. . . workshops can only accomplish . . .” I believe there’s a misplaced modifier there. Truckloads of bouquets for this post, Mark! Yes, the sentence “should” be “It depends on whom you ask,” but I resist using this outdated artifact form. See this post. If I had been editing this post, I would have caught that. But because I wrote it, of course, I missed it, even though I reviewed (and revised) the post before it was published. Companies generating content presents a whole host of problems. But I’m not sure grammar solves any of them. It’s the easy part to fix, but not the most important part. Regardless of where they put the commas, most people have difficulty getting to the point. Or don’t have one in the first place. Misusing an apostrophe is not a catastrophe. But insipid rambling surely is.